One Gigabit Ethernet or 10-Gig Ethernet port depending on configuration at time of purchase, four 40 gigabit per second Thunderbolt 3 ports which can also be used as 10 gigabit per second USB 3.1 type C generation 2 ports, a HDMI 2.0 port capable of 5K, a pair of USB 3.0 type A ports, and a headphone jack —note that this is not a microphone port as well. For a small segment of Apple's users. it isn't optimal, but it isn't dumb. 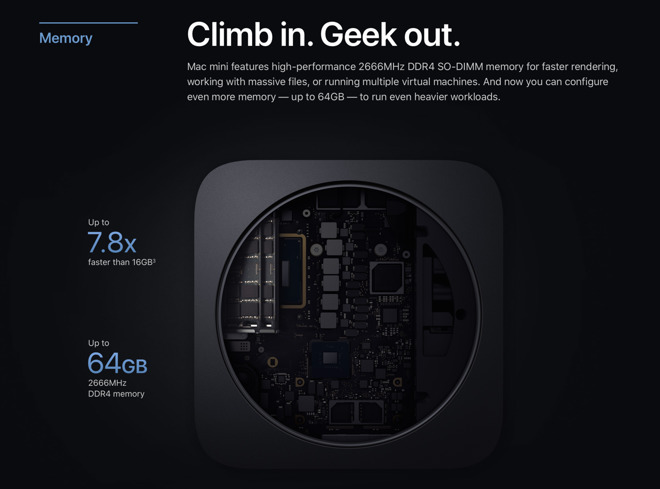 Apple's choices in how they design machines —including processor mounting —has dramatically cut down on the service rates in just a handful of years. But, like we said before, more on this later. 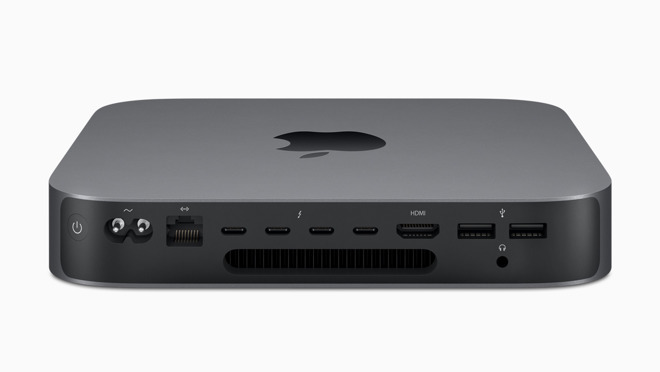 At the New York event, Apple had a stack of Mac minis, cranking away on a problem that is easily broken into chunks —called embarrassingly parallel —with compatible software. Not every task can be broken up like this, nor will stacking five Mac minis give you any inherent advantage on day-to-day tasks.